There are a few basic principles that everyone should keep in mind when they attempt to explain and defend the faith, especially online. Be informed: Read the Bible. Read the Catechism. Read the Bible some more. Find some good Catholic websites that defend the faith. You don’t have to be a genius; you just have to have some resources on hand. You can’t respond to anti-Catholic arguments if you don't know what the Church teaches or why She teaches it. Once you know your faith well, opposing views don't startle you as much because you either know the answer yourself or you know that the answer exists (you just need to find it). Be prudent: One thing I learned the hard way is that you can't tackle every false argument that comes your way. I used to act as though the survival of the Church depended solely on me and thus I had to respond to every attack. Over the years I have learned to just let things go and to concentrate my efforts on what will be the most fruitful. If you try to be a one-man army, you will burn out quickly and then you won't want to defend the Church at all. Stay calm: Many people tend to get very emotional when others say negative things about their beliefs. This hardly ever works out to your advantage. When you start calling people "bigots" and "haters" and saying things like "how dare you!" and "who do you think you are!" all you do is come off as someone who has to use emotional appeals to prove a point, instead of logic and reasoning. You also show the other person that he has gotten under your skin. Don't make yourself an easy target. Let the truth of what you believe speak for itself. Stay on topic: This is easily the #1 mistake that I see people make when they engage others in debate. You have to stay on topic. Be stubborn about it. You must simply refuse to discuss anything that is not on topic. If you don't do this, then your discussion will go nowhere. You’ll go down rabbit holes that lead you where you don’t want to go and frustrate your efforts. Practice: As with anything, you’re only going to get good at defending your faith by practicing. That means you have to be willing to put yourself out there. When I was first learning how to be an apologist, I purposefully entered into debates with Baptists on my college campus, and with various kinds of Christians online. It was an excellent experience because it revealed to me where the gaps in my knowledge were, and then I could go and learn more about that topic. Every encounter and every question made me a better apologist. Remember, as Catholics we really do have nothing to be afraid of. The Catholic Church possesses the fullness of grace and truth. There’s no such thing as a bible verse or an argument that refutes what we believe. Pray hard: Finally, you have to make prayer a central part of your work in responding to people who disagree with the Church's teaching. This is after all a spiritual battle we are waging (cf. Eph 6:12). Pray that God will grant you the patience, wisdom, and charity that is necessary to be an effective apologist. Pray that the Spirit will open the minds and hearts of those you encounter. Pray that He will give you the words when you don’t know what to say. God has promised that He will give us the words to say and lead us into all truth. But, we must pray. Catholic apologetics should always be a scriptural enterprise. We aren't "sola scripturists," but our faith is biblical. The Catholic Church is the only church that has maintained a continuity of faith with the very same community that wrote the bible, so it really can't be any other way. Despite that, we often lag behind our Protestant friends when it comes to literacy and familiarity with the bible. Since it can be a daunting task to unpack and digest all that the bible has to offer, start with a few basic passages. You should have at least one go-to passage for each of the Catholic teachings that are most commonly called into question. Start there, and then bring in the rest of the biblical evidence as you grow more familiar with it. Titus 1:5 The reason I left you in Crete was that you might put in order what was left unfinished and appoint elders in every town, as I directed you. 2 Thes 2:15 So then, brethren, stand firm and hold to the traditions which you were taught by us, either by word of mouth or by letter. Lk 1:43 And why is this granted me, that the mother of my Lord should come to me? Lk 1:34 Then said Mary unto the angel, How shall this be, seeing I know not a man? 1 Cor 11:23-26 For I received from the Lord what I also delivered to you, that the Lord Jesus on the night when he was betrayed took bread, 24 and when he had given thanks, he broke it, and said, “This is my body which is for you. Do this in remembrance of me.” 25 In the same way also the cup, after supper, saying, “This cup is the new covenant in my blood. Do this, as often as you drink it, in remembrance of me.” 26 For as often as you eat this bread and drink the cup, you proclaim the Lord’s death until he comes. Acts 19:5-6 On hearing this, they were baptized in the name of the Lord Jesus. 6 And when Paul had laid his hands upon them, the Holy Spirit came on them; and they spoke with tongues and prophesied. 1 Tim 4:13-14 Till I come, attend to the public reading of scripture, to preaching, to teaching. 14 Do not neglect the gift you have, which was given you by prophetic utterance when the elders laid their hands upon you. Rev 8:3-4 And another angel came and stood at the altar with a golden censer; and he was given much incense to mingle with the prayers of all the saints upon the golden altar before the throne; 4 and the smoke of the incense rose with the prayers of the saints from the hand of the angel before God. 1 Cor 3:12-15 Now if any one builds on the foundation with gold, silver, precious stones, wood, hay, straw, 13 each man's work will become manifest; for the Day will disclose it, because it will be revealed with fire, and the fire will test what sort of work each one has done. 14 If the work which any man has built on the foundation survives, he will receive a reward. 15 If any man's work is burned up, he will suffer loss, though he himself will be saved, but only as through fire. 1 Jn 5:17 All wrongdoing is sin, but there is sin which is not mortal. To learn more about these Catholic teachings and the scripture passages used to defend them, see my Topical Index Page. Being an effective Catholic apologist doesn't always mean having all the answers. Sometimes it just means knowing where to go to find the answer. These websites have been a tremendous help to me. I suggest you keep them in your back-pocket (as it were). 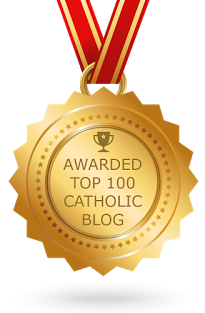 For more links to great Catholic resources, see my right sidebar. How Do I Become an Apologist? Jer 20:9 If I say, “I will not mention him, or speak any more in his name,” there is in my heart as it were a burning fire shut up in my bones, and I am weary with holding it in, and I cannot. Mk 13:11 And when they bring you to trial and deliver you up, do not be anxious beforehand what you are to say; but say whatever is given you in that hour, for it is not you who speak, but the Holy Spirit. Acts 22:1 Brethren and fathers, hear the defense which I now make before you. 1 Cor 9:16 For if I preach the gospel, that gives me no ground for boasting. For necessity is laid upon me. Woe to me if I do not preach the gospel! Col 4:6 Let your speech always be gracious, seasoned with salt, so that you may know how you ought to answer every one. Titus 1:9 He must hold firm to the sure word as taught, so that he may be able to give instruction in sound doctrine and also to confute those who contradict it. If there's ever anything I can do to help, please let me know. Good luck to you!